Bob Irwin is a celebrated Australian naturalist, animal conservationist, and a pioneering herpetologist who is also famous for his conservation and husbandry work with apex predators and reptiles. He was the original founder of Australia Zoo, which he and his wife opened as the small, family run Beerwah Reptile Park in 1973, with the intention of increasing public knowledge of native wildlife. Bob and his late son Steve, went on to implement and manage a wide variety of research projects into Australian reptiles in collaboration with various universities and government departments. This work has had a major influence on wildlife management today. Bob's work, and the Irwin legacy, is recognised for helping to educate millions of people about the importance of nature conservation. Bob is continuing his and Steve's legacy though the Bob Irwin Wildlife & Conservation Foundation, giving a voice to Australian wildlife and educating the next generation of grassroots conservationists through research, advocacy and education. 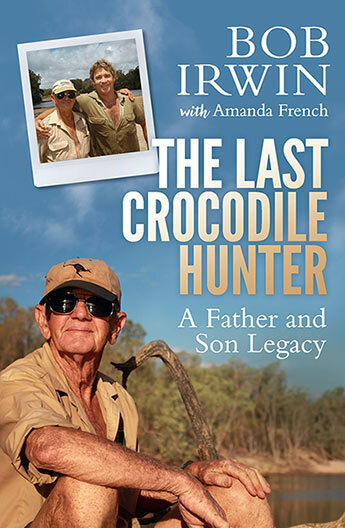 Bob Irwin's extraordinary life as a wildlife pioneer, father to wildlife warrior Steve and founder of Australia Zoo, told in his own words.